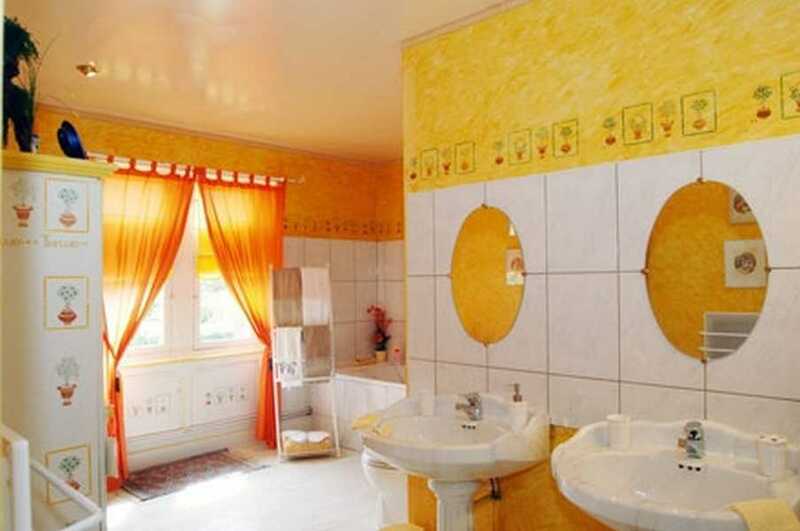 Bought in 2000 by Anne and Hervé Duvauchelle, this house is fitted with high comfort, especially for the guests’ rooms, in order to satisfy the most difficult guests during the whole year (decoration, furniture, paintings, toilets, electric bed in room «Angelots »). All the necessary equipment for baby, garden furniture, Children Playground, and bicycles will entertain your stay. 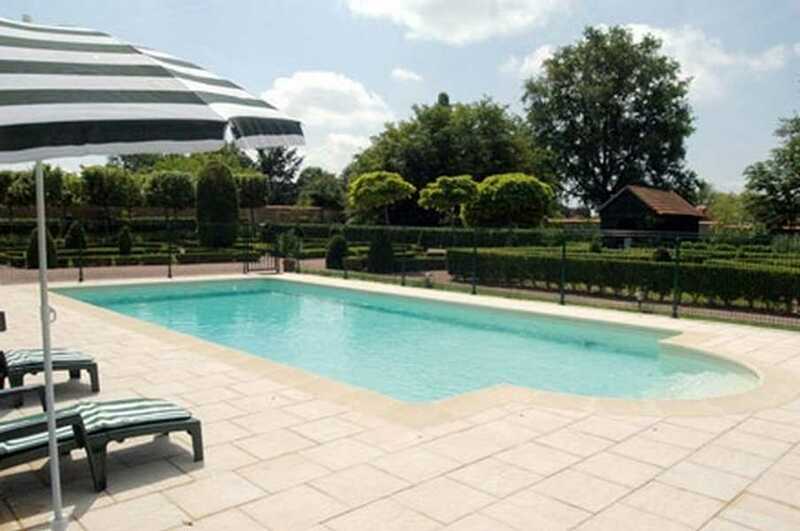 You will be happy to use a modern external swimming-pool, fulfilling the latest safety and cleanness’ norms. 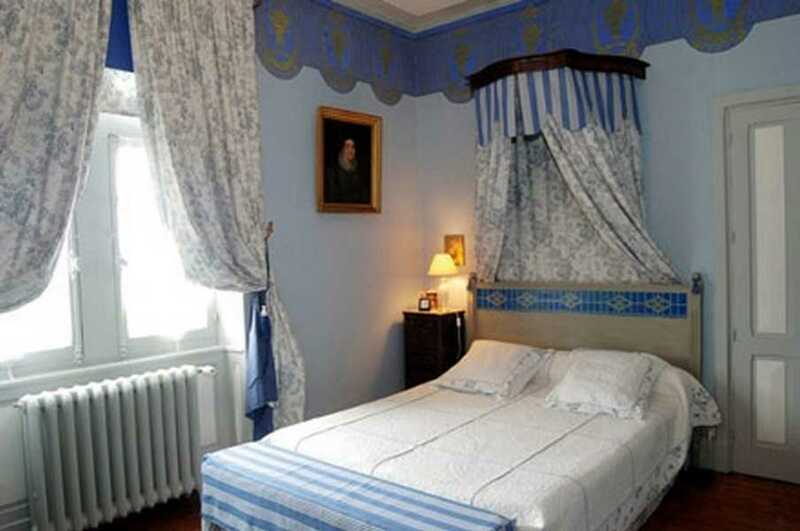 Room Angelots : This room, decorated in blue harmonies, offers a wide electric bed (160x200) and a simple bed (90x190), its private bath-room with toilets, two washbowls and bath. 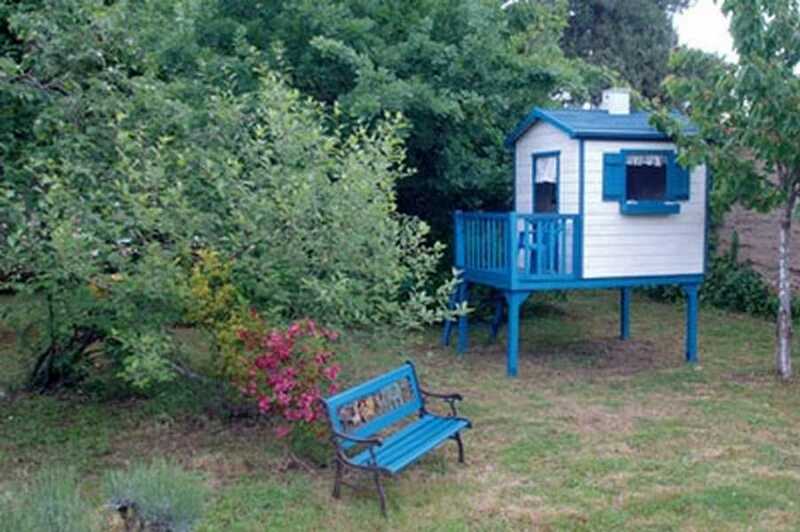 You will have the view on the garden a la française and the mountains of La Madeleine. 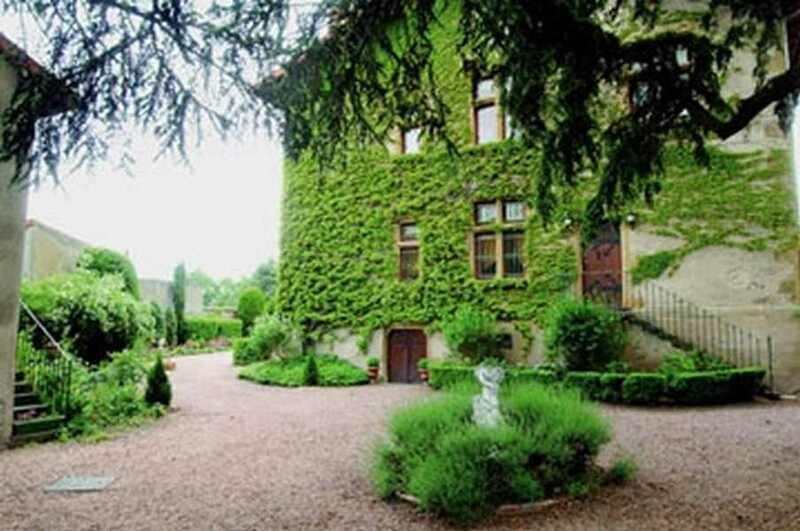 This place is particularly peaceful, so you will spend extremely restful nights. You will have at your disposal a tea set. 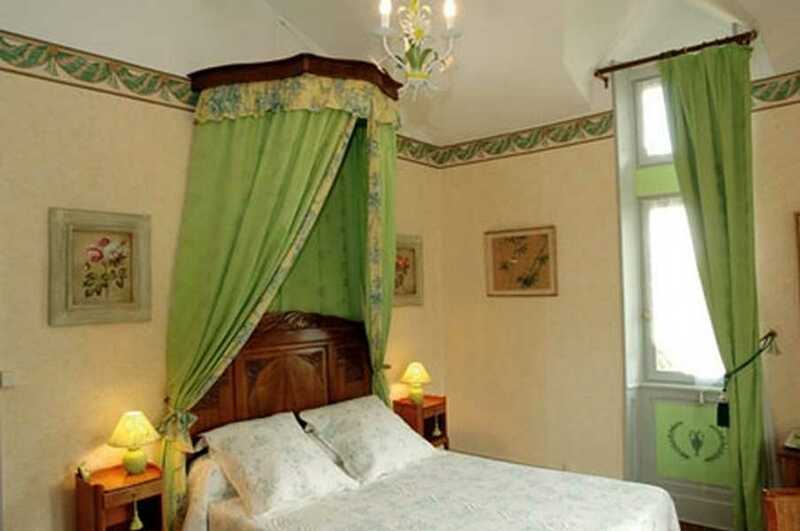 Room Amphores : This room, decorated in green harmonies, has a wide bed 140x190 and a second room with shower. 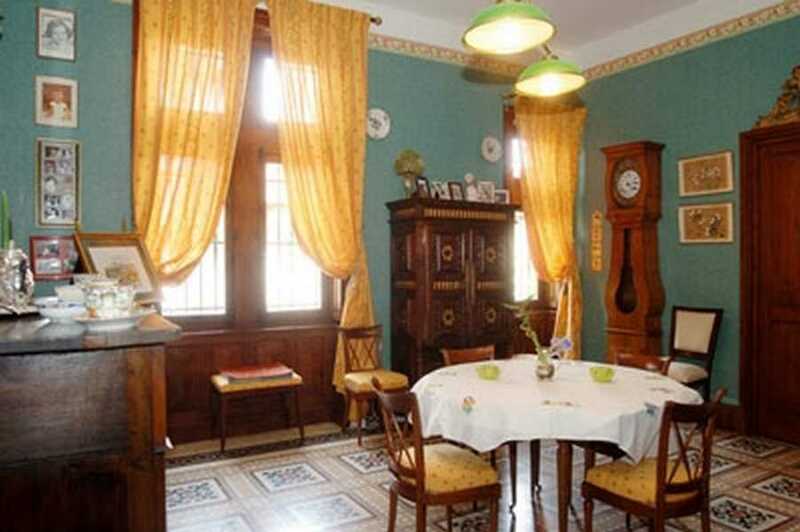 From the window, you will benefit of a view on the nice garden “à la francaise” and on the mounts of La Madeleine. 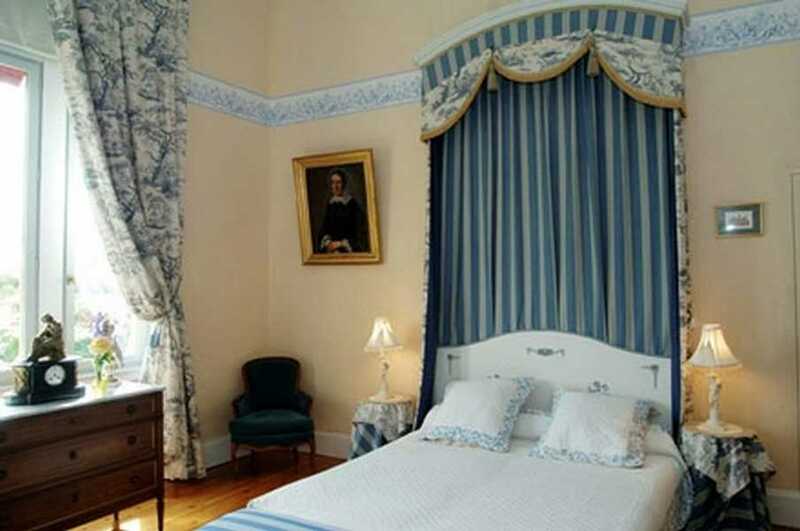 This place is particularly peaceful, so you will have restful nights. A tea set is available in the room.